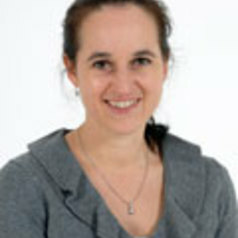 Dr Rebecca Duncombe was appointed as a Teaching Fellow in the school of Sport, Exercise and Health Sciences in October 2013. Prior to this, she was a Research Associate within the Institute of Youth Sport (IYS) for 8 years, working on a range of research projects focused predominantly on positive youth development, physical activity promotion, and high quality teaching and learning in Physical Education. Before starting a PhD at Loughborough University, Rebecca was a generalist primary school teacher with responsibility for the coordination of Physical Education within the school. After two years of teaching, Rebecca applied to do a PhD within the School of Sport and Exercise Sciences and, in October 2005, she completed her doctoral thesis, entitled' Effective teacher learning in primary school physical education: An analysis of school-based collaborative professional learning as a strategy for teacher professional development'. Rebecca completed her BA (Hons) degree at The University of Leicester (Psychology, Sociology and History) in July 1997 and gained her Post Graduate Certificate of Education at Homerton College, Cambridge, in July 1999.